& Why is a quaint little American style cafe that serves up classic western cafe food such as coffee, pastries, desserts, salads and sandwiches. The interior will make you feel like you’ve taken a trip back in time to a typical 1920s cafe in New York. This pretty cafe really knows how to make their customers feel at home. With their cosy interior and incredibly friendly staff, you’ll definitely find yourself wanting to come back again. 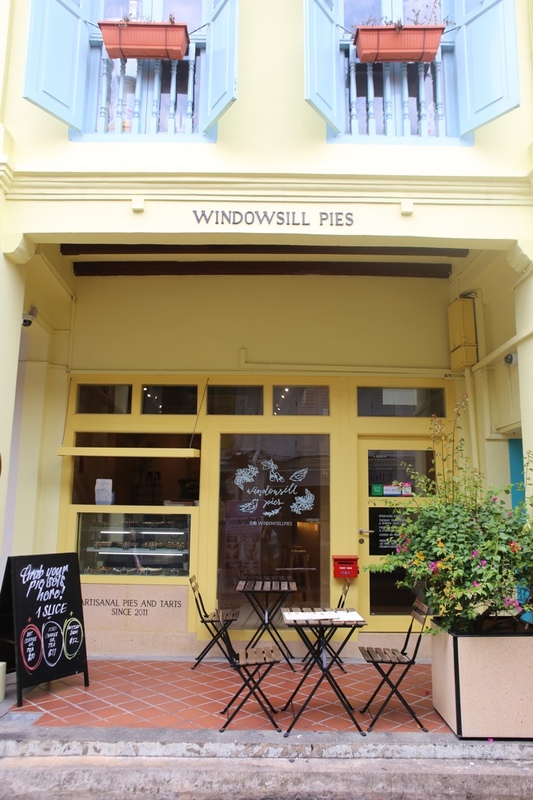 They also serve up some pretty delicious desserts, fresh confectioneries baked daily as well as savouries such as quiches and pies. Best of all, they are Halal-certified! 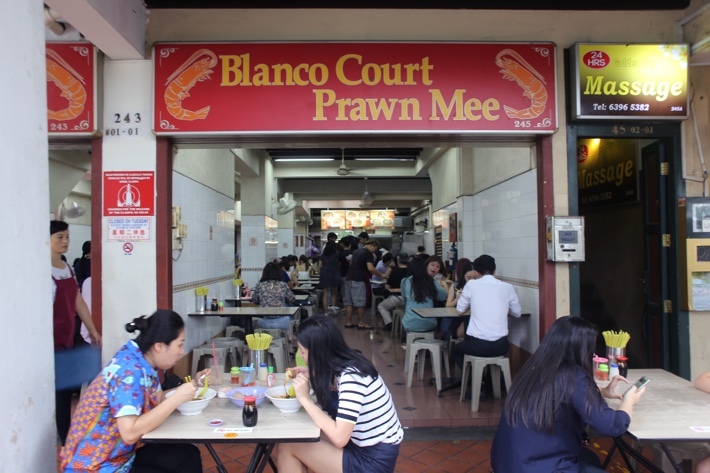 If you are a huge fan of prawn mee like us, you should definitely check out Blanco Prawn Mee. 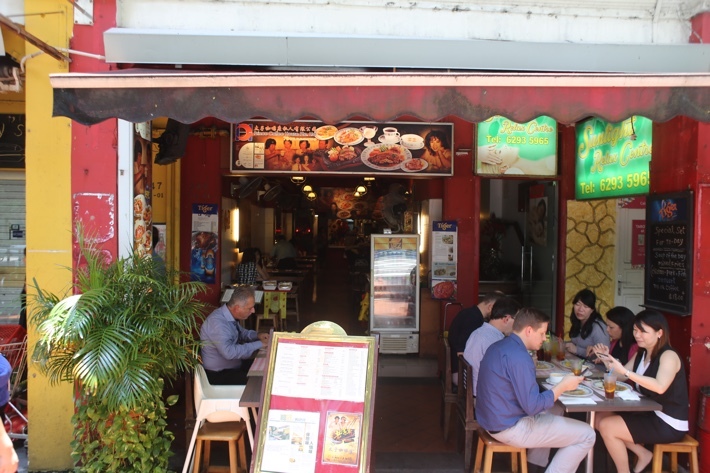 They serve up a hearty, rich bowl of prawn noodles that comes with your choice of either bee hoon, yellow noodles or kway teow. Every ingredient is cooked perfectly but truly, it’s their rich prawn stock that seals the deal every time — not to mention the incredibly fast and efficient service. 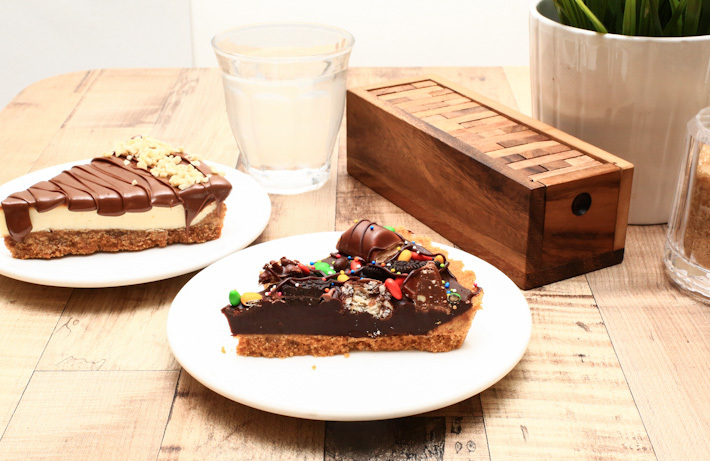 If you’re looking for something sweet to munch on while taking a break from your Haji Lane adventure, Comestivel Desserts is a great place to go to for some great, affordable cakes and tarts that will satisfy any sweet tooth. 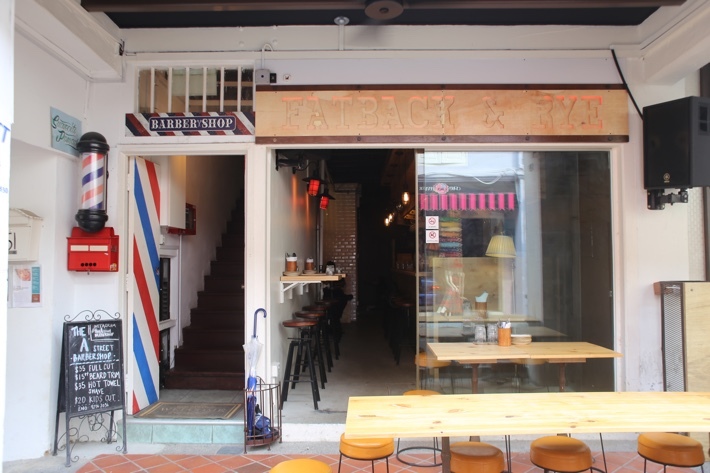 Fatback & Rye is a laid-back bar concept that is a great place to head to for a chill time with a bunch of friends. They serve up some pretty amazing grilled cheese sandwiches as well as craft cocktails and beers. 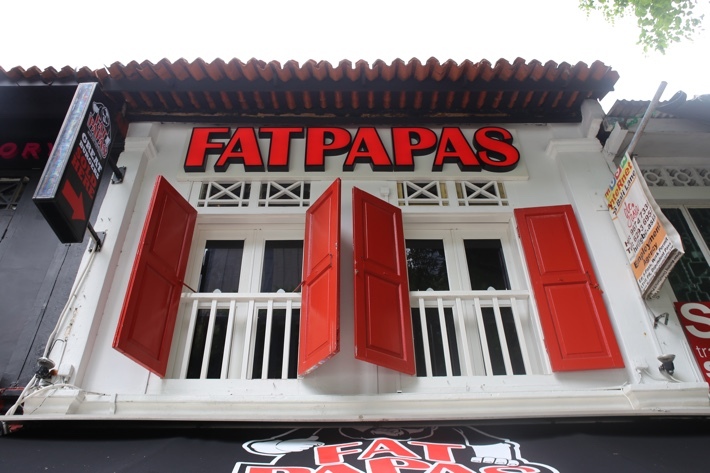 Fat Papas is the Halal version of the esteemed burger joint Fat Boys, so yay to all our Muslim friends who have been dying to try a burger from Fat Boys! The burgers at Fat Papas are just as juicy and as flavourful as the ones from Fat Boys so you definitely are getting the real deal here and nothing less! 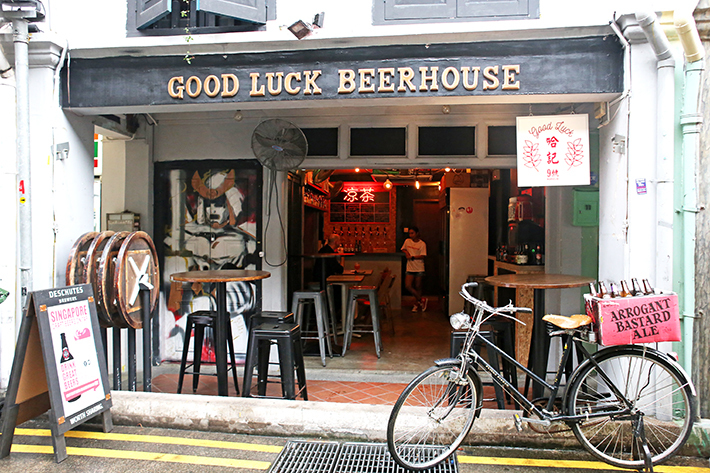 Good Luck Beerhouse is a 25-seater speciality craft beer bar that serves a variety of craft beers that are either locally brewed or imported from the USA and New Zealand. Interestingly enough, they also serve Dim Sum here. 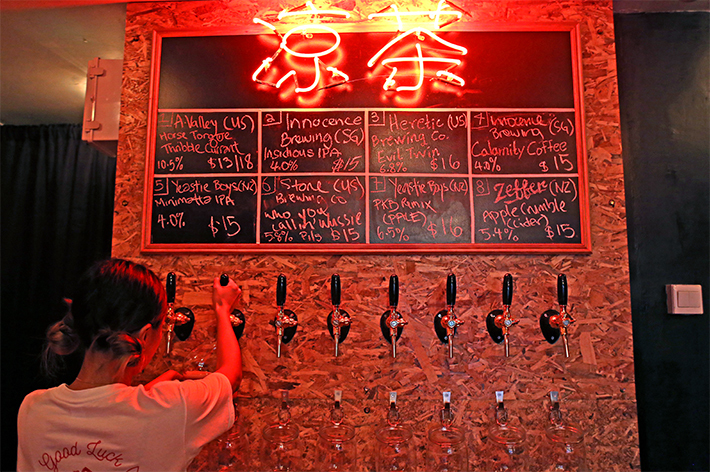 So if you’re craving for both dim sum and beer, this is the place to be at. 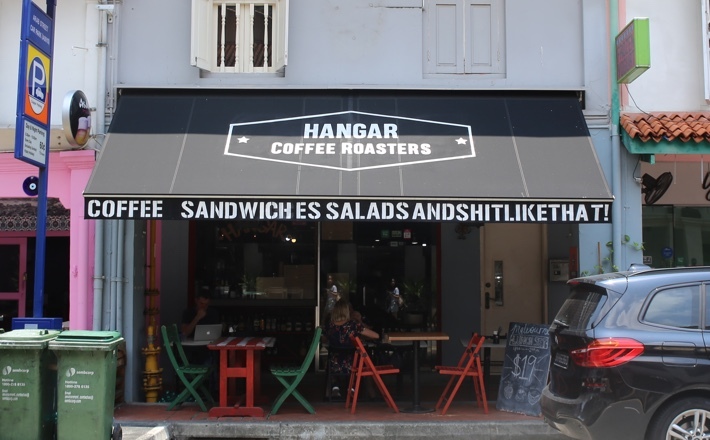 The Hangar is a Melbourne-inspired cafe and bar that sells 100% Arabica coffee that they roast themselves every week. They also have creative fusion dishes and snacks that are incredibly instagrammable. 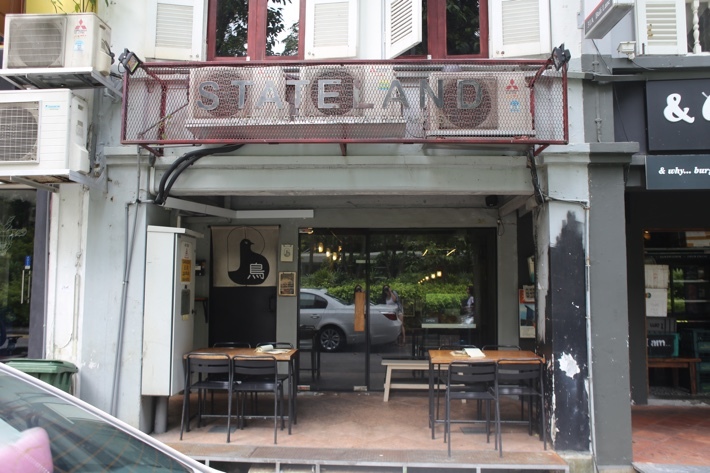 For the alcoholic, you can always order one of their craft beers and premium spirits to cool you down after a hot day exploring Haji Lane. 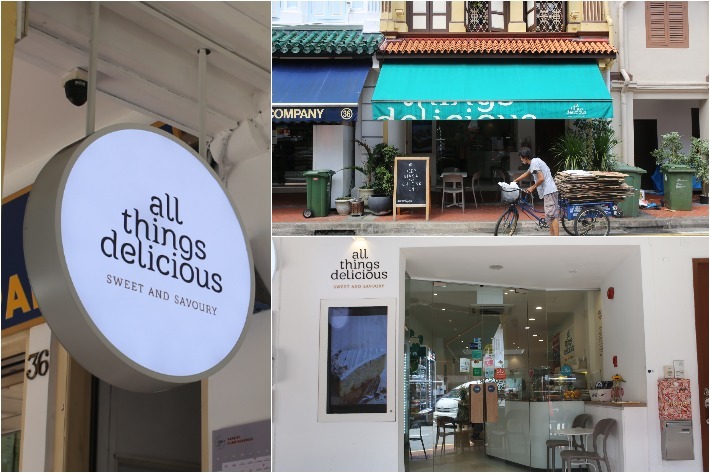 Julie Bakes is not your usual cupcake shop; they serve up fusion “kampung” cupcakes that are definitely an interesting and different treat from your usual, mainstream red velvet and salted caramel cupcakes. Some instances of these are their Badak Berendam, Onde Onde, Bandung and Pengat Pisang cupcakes. This Malay-Western cafe that tucked away in a corner of Bali Lane sells your usual cafe nosh such as truffle fries, drumlets, pizza and pasta. 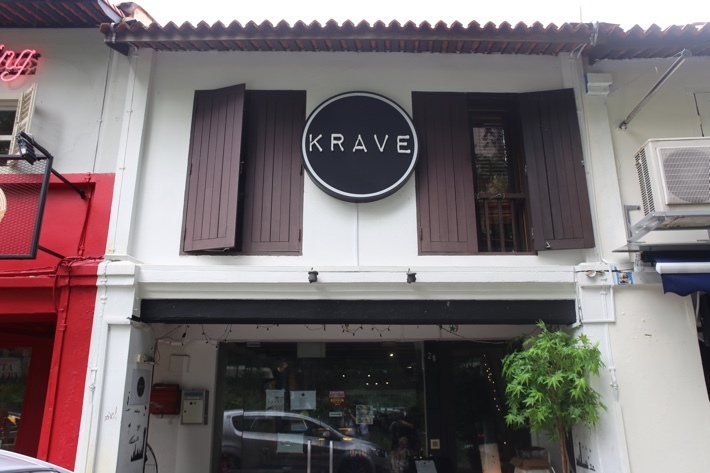 However, besides that, they also serve up some interesting food such as their Kraving Ayam Bakar and Arrabiata Chicken Pasta, which are western-Muslim fusion dishes. 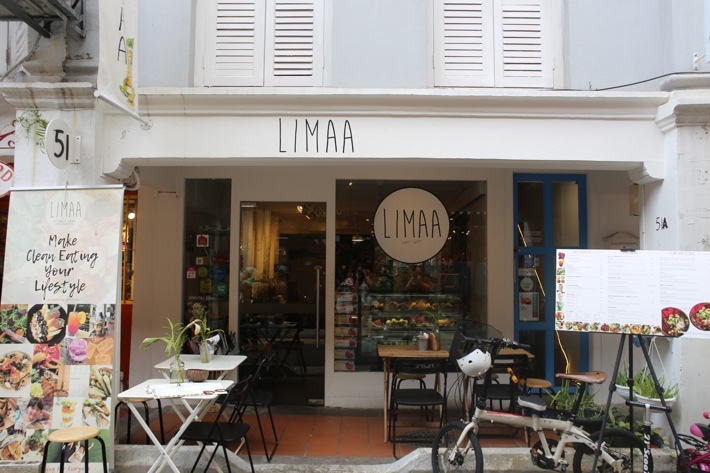 If you’re looking to lose weight and you don’t want to be tempted by all the good food strewn all over Haji Lane, don’t worry because there is a cafe here called Limaa that serves up healthy yet delicious food that won’t add weight to your waistline. 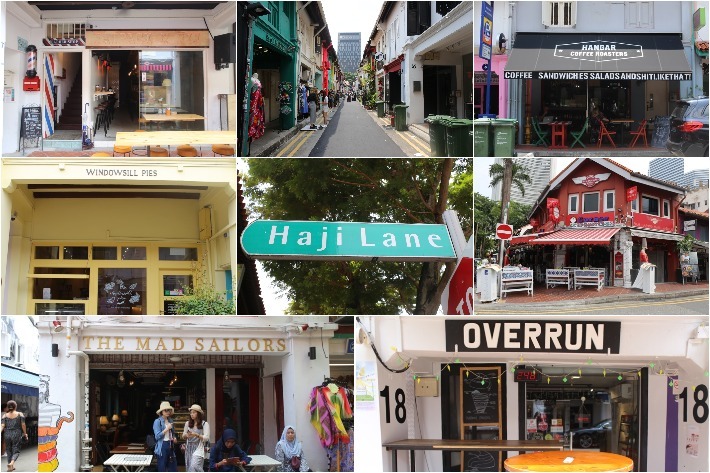 Looking for a solution to beat the heat during your adventures along Haji Lane? 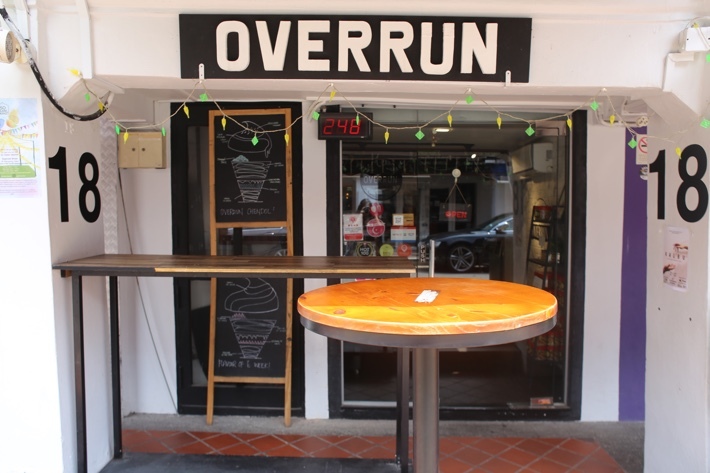 We recommend that you treat yourself to something sweet at Overrun. 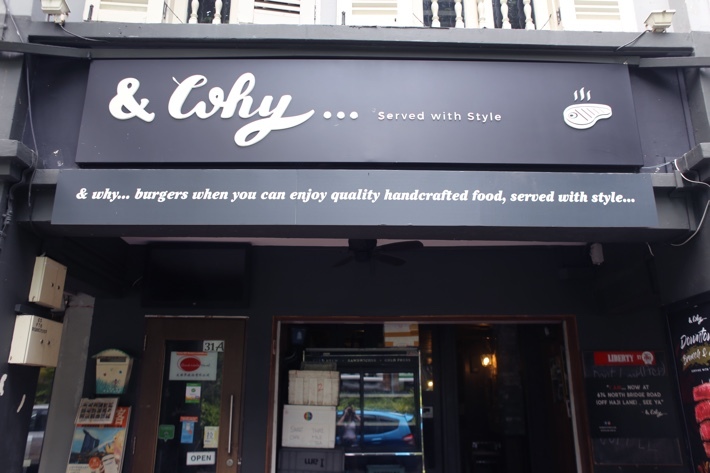 Their unique chendol-flavoured soft-serves definitely hit the spot and is great for sharing with friends. 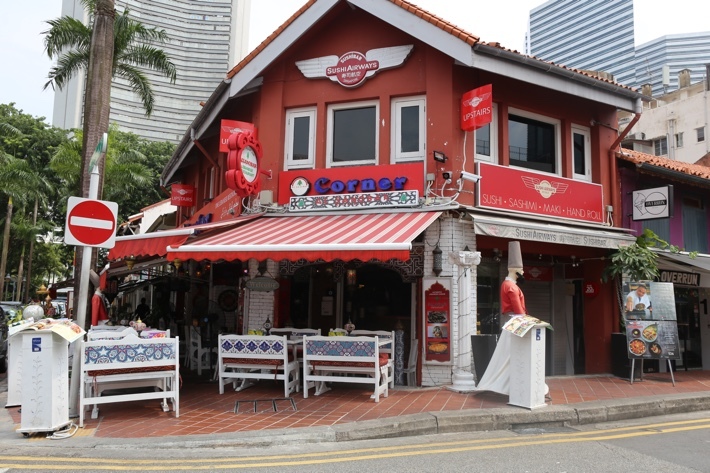 This almost hard to spot coffee house is a whopping 41-years old, and it serves up scrumptious, authentic Hainanese-Western food. A must-try here definitely has to be their iconic chicken pie that will definitely bring you back to the heydays of pies and mash. This almost hard to spot cafe is tucked away at Bali Lane, and they have a pretty interesting array of food. 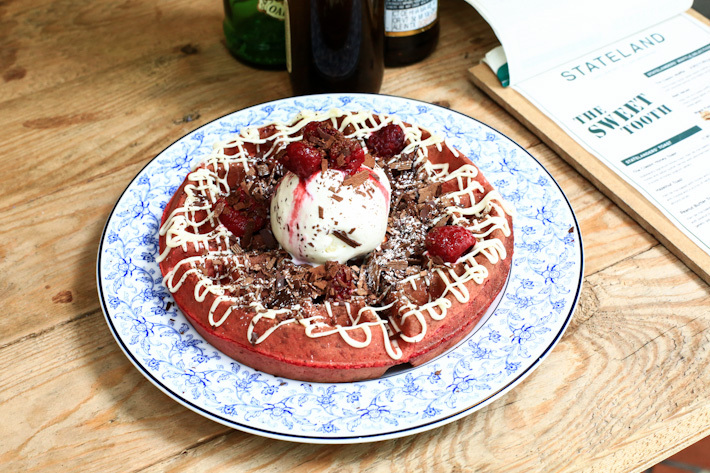 Besides their popular menu items like Red Velvet Waffles and Eggs Benedicts, they also have unusual items such as Kimchi Carbonara, Hainanese Risotto and Liusha Burst. 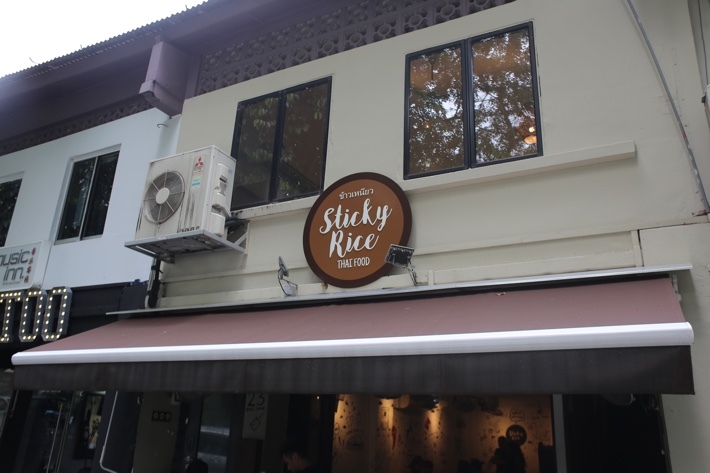 If you’re missing all that amazing Thai food from Bangkok like we are, Sticky Rice is a great place to check out to get your Thai food fix. They serve up classic Thai street food such as phad thai, mango sticky rice, basil chicken and tom yum soup that won’t cost an arm or a leg. Sushi Airways offers you a unique “flying” experience that you can’t get anywhere else. This unique Japanese restaurant is designed to look like the inside of an aeroplane with waitresses dressed as air stewardesses. They serve up some delicious Japanese cuisine with some of the freshest Salmon that is flown in directly from Japan. 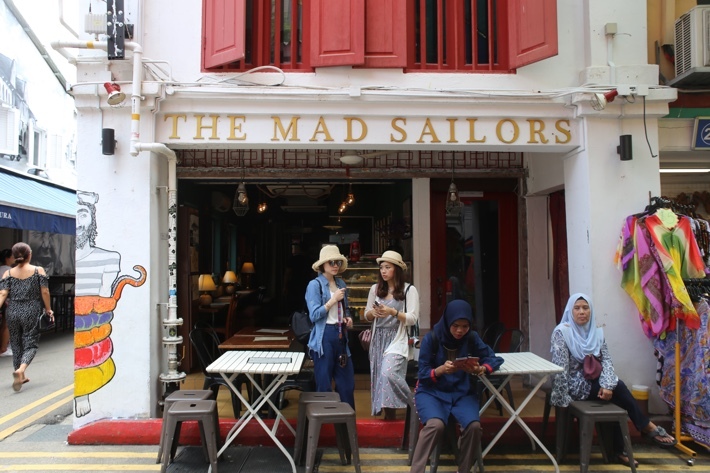 The Mad Sailors serves up some delicious halal British nosh such as their popular Bangers & Mash and Fish & Chips. If you’re looking to try something interesting, they also have Harry Potter Inspired non-alcoholic House Butter Beer that is great for both kids and grown-ups alike. 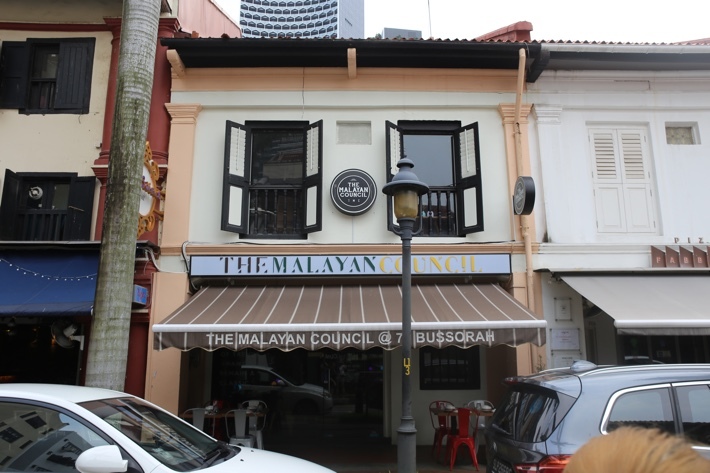 The Malayan Council serves up some pretty scrumptious fusion Muslim and modern gourmet nosh that will make you feel like coming back for more. They also have very local inspired desserts such as their fluffy Ondeh Ondeh Cake as well as their Putu Piring Cake. 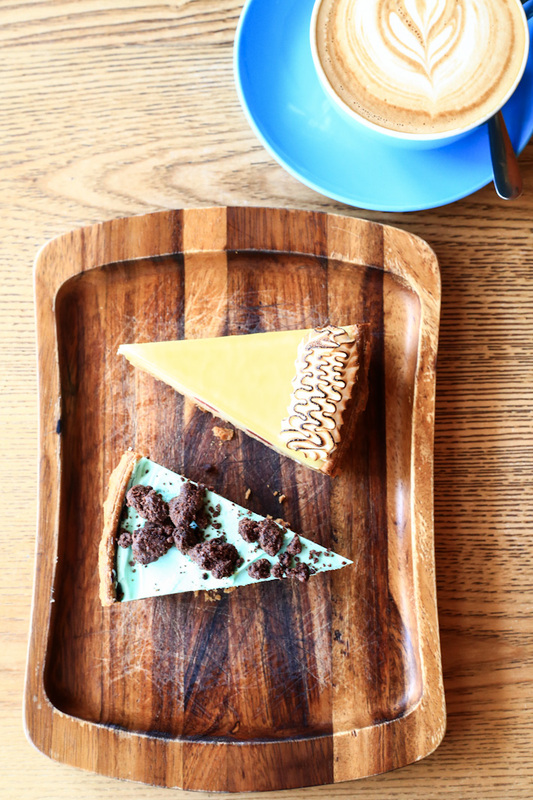 This pretty-as-a-picture cafe serves up delicious desserts to satisfy any sweet tooth cravings. They also have some great coffee to go with your pies and cakes. We love how the storefront looks like it just came out from a movie! Great for cute photos for the gram.